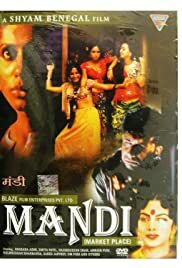 A public prosecutor discovers the harsh realities about life of the scheduled tribes in India during 1980s while defending a case of a tribesman charged of murdering his wife. My main criticism is that Shabana Azmi, who's otherwise very, very good, is at least 15 years too young for the part of a middle aged madam. She looks barely older than Smita Patil, who's supposed to be her surrogate daughter. In fact, for me, Shabana is easily the most alluring women in the movie - she could obviously do better by selling herself! Anyone agree? A minor criticism is that Nasruddin Shah, who goes barefoot throughout, even on the roughest ground, is obviously accustomed to wearing shoes - I winced in sympathy with every step he took. BTW, can someone tell me if he's a Parsee. I think he looks like one. I keep getting told that my comment doesn't run to ten lines. Does it now?